Note: We are still trying to put together events, if you have any suggestions or advice, email us! 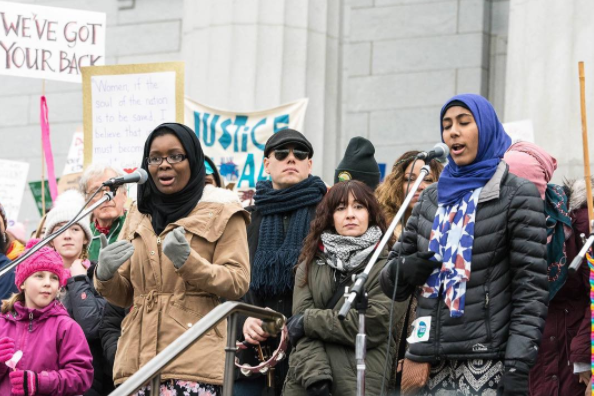 Muslim Girls Making Change is a proud supporter of the nationwide March For Our Future! "We will march for human rights, dignity, and equality for all. We will march for our future. America’s diverse youth and their allies will march to protect the future of this country. While facing issues like climate change and discrimination we recognize that youth are the most vulnerable to violations of human rights, yet our voices have not been heard. We recognize that young people are our future. We recognize that today's youth are tomorrow's leaders. We recognize and call for “life, liberty, and the pursuit of happiness” for immigrant, undocumented, black, brown, LGBTQIA, and youth of all faiths, ethnicities, races, classes, ages, and abilities. The March For Our Future stands for progress, not regression, on the issues that affect young people and our planet. Our voices need to be heard and our actions need to be realized. This generation is alive now, and we are taking action to create a better future." Kiran and Hawa started and co-lead the Burlington RESULTS chapter. RESULTS is an advocacy group that works to end global poverty. To get involved, like their Facebook page and check out RESULTS website. Join MGMC in marching for the human rights of women. Please visit their website to understand how you can get involved. Additionally, one of our members, Kiran Waqar, is one of the thirty youth ambassadors for the national Women's March on Washington! Join MGMC in fighting against breast cancer. Come at 11 am for the pre-walk festivities or come at 1 pm for the walk. Sign up here. Our team name is 'Walk For A Cure'. 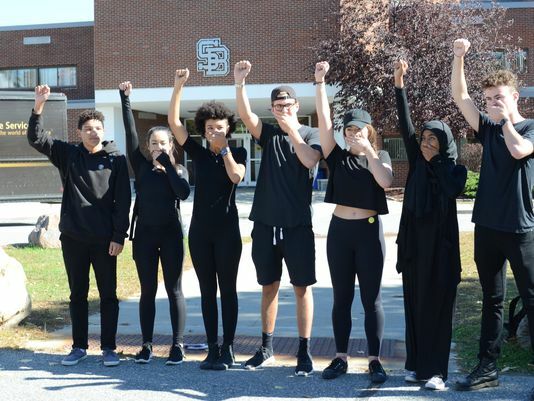 To show solidarity with those who lost their lives to police brutality, Kiran Waqar along with two of her classmates organized a highly successful black out day in which students and faculty wore all black. After meeting Zach Ingrasci at the Global Issues Network, Kiran and Lena set up showings of 'Salam Neighbor' for students at their school and their community. Watch the documentary or host a showing here. Join MGMC as they cook a meal for the Ronald McDonald House. All are welcome. 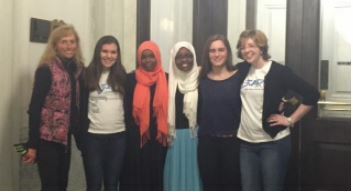 Kiran and Lena along with Dina Alsafar and Ali Barritt led a statewide collection for internally displaced Syrians. Working with Governor Peter Shumlin, the Islamic Society of Vermont, and several businesses they were able to collect over 5,000 items and over $2,000. 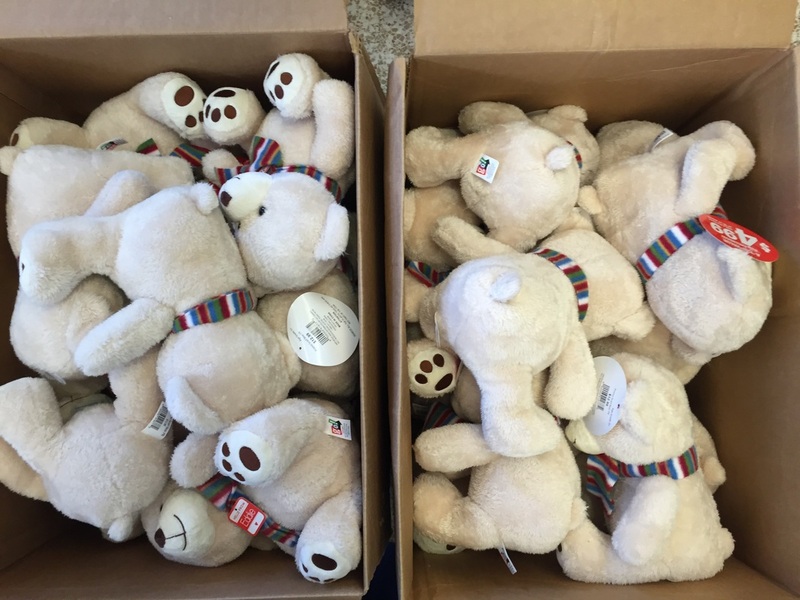 These items were donated to NuDay Syria, a nonprofit based in New Hampshire. 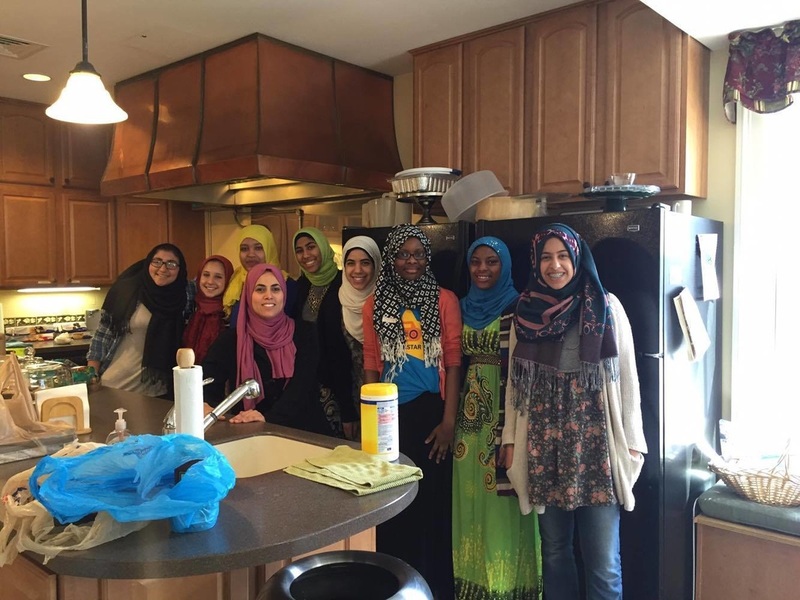 MGMC organizes and works with volunteers to help the Vermont Refugee Resettlement Program. Help is always needed! To get involved in the future, contact us.